Versatile pool or snooker trophy made in resin with bronze and gold colour finish. 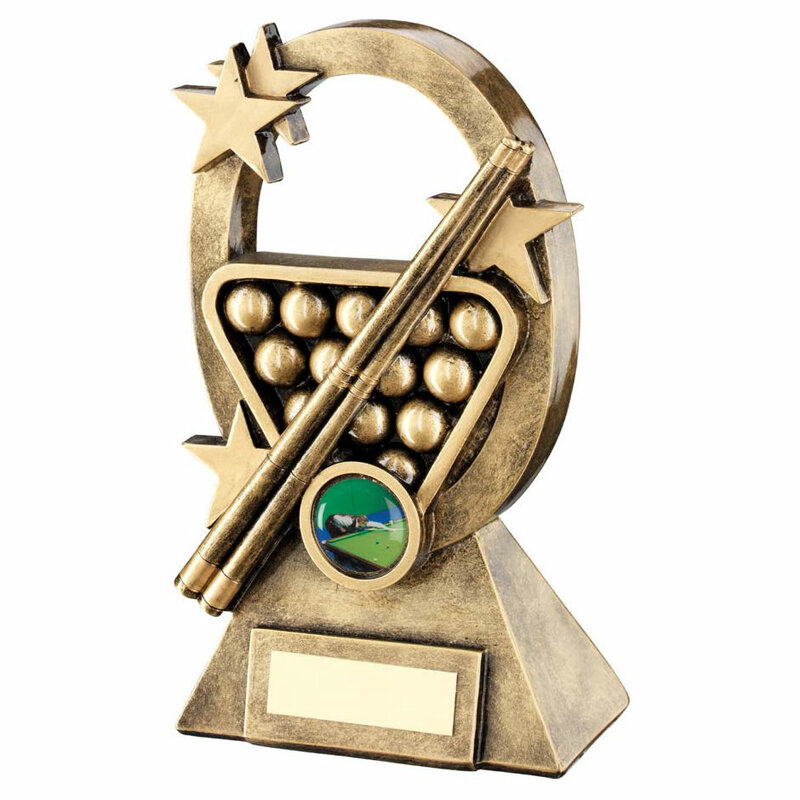 Features oval shaped star-studded frame enclosing a full rack and two cues along with a 1in centre and engraving plaque on the base. Available in three sizes, offered with engraving options.